The competitive strategies of Thai banks during the transformative period brought some successes and some failures associated with payment systems. 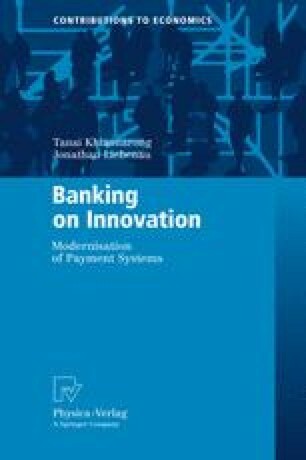 In this chapter we show how four banks, ranked among the largest in the world, devised and pursued innovation strategies. This allows us to contrast the competitive strategies of first movers, dominant market players, re-engineering leaders, and innovative state banks. The cases illustrate the relationship between innovation and banking leadership in the country. In the final section we assess the common characteristics of these approaches and present some lessons that can be applied by other commercial banks seeking to use IT to gain competitive advantage.